More accurately, 1 year ago… This article has been in Draft for too long. When I started working as a UI designer 2 years ago, I was overwhelmed with a decision: choosing which software to use for my designs. I studied Graphic Design using Adobe software, I’m certified in Adobe software. I will always love Adobe. (And naturally that’s where Xd comes in). It was love at first sight, even if it was still in beta at the time. Along the way I picked up a few things, and I’ll be honest, I wish I knew this when I started out with Xd. But hopefully you’ll learn from my mistakes, and hopefully I can save you some time and effort. Control / Command Click = Directly selects shape within a group/ mask. Maybe you know this, maybe you don’t. But I didn’t know that you could minimise the asset panel until recently. 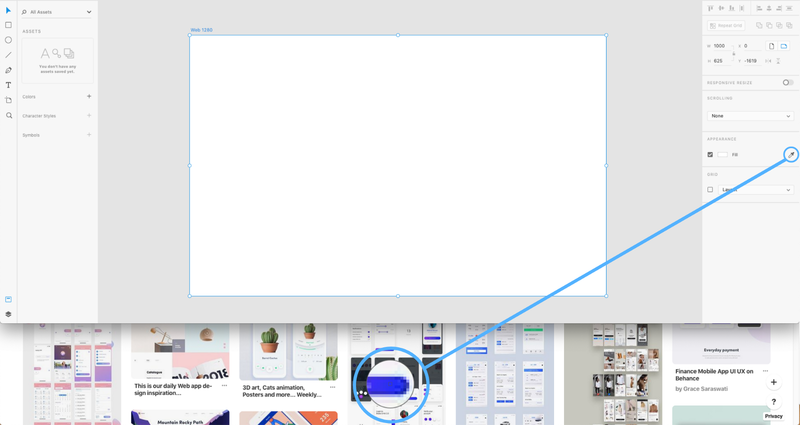 If you click on one of the the icons within the layers / asset panel while it is expanded, it will collapse, allowing for more space to view your artboard. This is especially helpful if you’re working on a small screen or laptop. The eyedropper tool allows for sampling in more than the current document window. What! I think this is awesome. You can not only sample colours from a different Xd document, but anywhere outside of the Xd window. If you have multiple screens, you can even sample colours from a different screen. If you have a shape with a certain style applied to it, you can select the object, copy it, and paste it’s appearance onto another object. 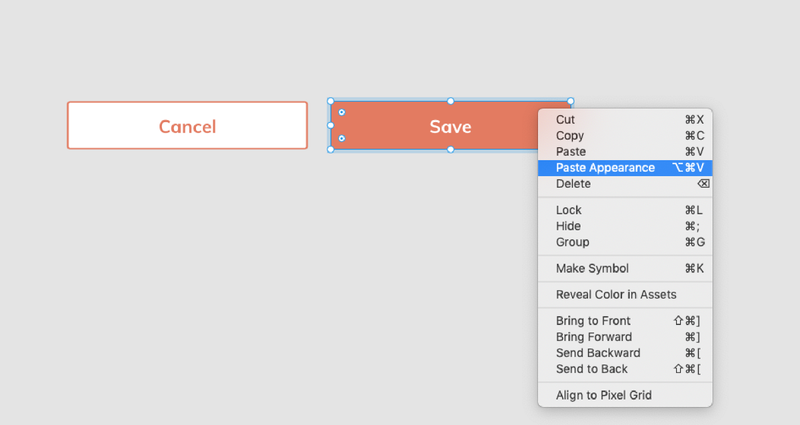 This is pretty handy for creating consistent designs. You can copy wires, too. What are wires? 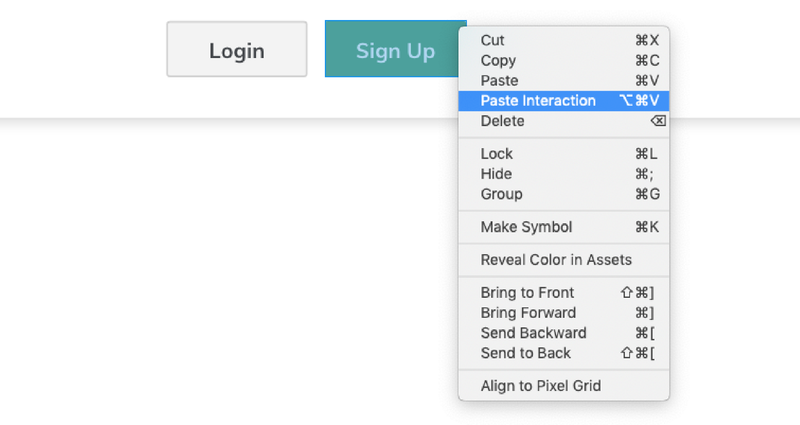 The link from one artboard to another to create a prototype of your UI design. When you copy the object that has been set as the trigger, and paste a selected item with prototype mode on, it will paste the same link to which the previous trigger has been applied to. If you have created a character style and accidentally deleted it, you can select the desired styled text and create a new character style. When you update that character style, it will search the entire document for that same style and override the new style. This is a major time saver! The same principle applies to colour assets. 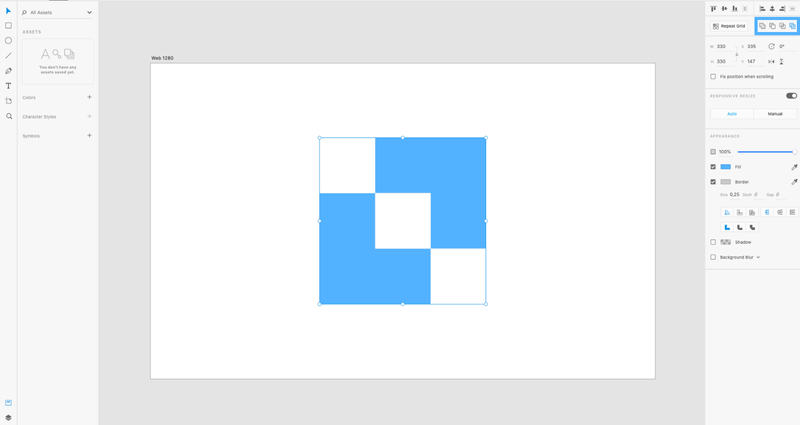 If you space two shapes, groups, text boxes or even artboards apart, as long as there is at least one space to set as the “template” spacer, smart guides will snap the objects the exact same distance apart as the previous ones, but there has to be one space between two objects within the viewport of the screen in order to have that snap effect. You can also hold in the alt key and move your cursor around a selected item to see how far it is spaced apart from surrounding elements. If you’re used to Adobe Illustrator, you know that the pathfinder controls either adds, subtracts, intersect or excludes overlapping shapes in order to create a new shape. Within Illustrator the shape is ‘destroyed’ in order to create a new one. But Xd creates non-destructive icons. What that means is, if you unite or subtract shapes from each other, it essentially just masks them, so you can double click and edit the original shapes used to create an icon or graphic graphic, in order to edit / revert it. When you release the icons you will be left with the original shapes used to create the icon. 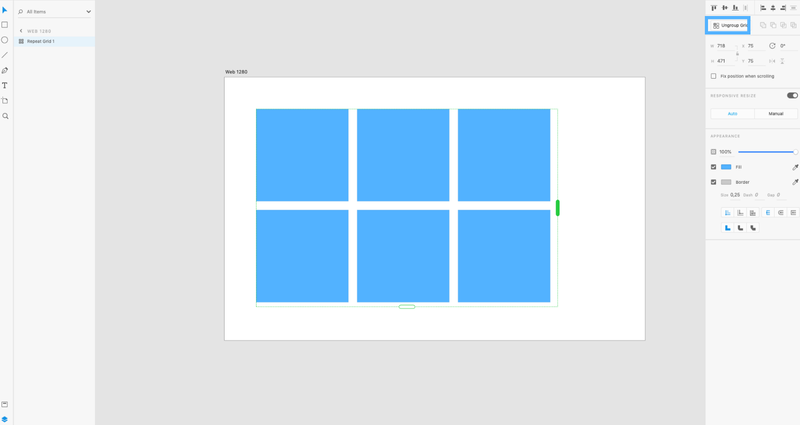 If you’re any way familiar with Adobe Xd, you should know what the repeat grid is. If you don’t, it’s an amazing feature that allows you to duplicate and space multiple objects within a few seconds. What’s really powerful about this feature is that you can drag images and text files into these grids to paste dummy content in flash. Just select the shape or group you want to repeat and click on the Repeat Grid button located in the top right sidebar. A green border will surround your shape. Use the handles on the Z or Y axis, and drag until you have the desired amount of shapes, either vertically or horizontally (or both). 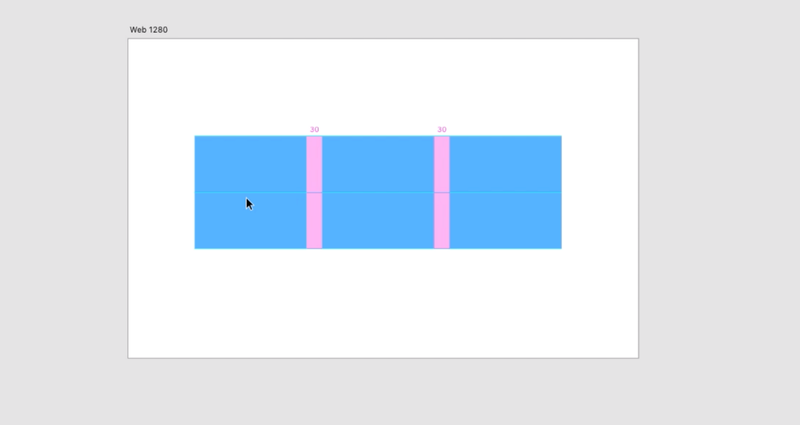 When hovering between the spaces of your shape, the space in between will highlight in pink — drag either left or right to increase or decrease the space between them. I picked up a lot of the tips and tricks I mention here from a Udemy course by Daniel Walter Scott. If you are interested in learning more, I would reccomend taking his course. By no means am I endorsing any product or service. All the views expressed in this article are those of my own.